FOREX CARGO has time and again remains committed to provide the most efficient delivery services to our customers. This is how this company was established, and will continue to do so. However, in the recent months, factors beyond our control have been pushing our delivery schedule longer than usual. First factor is the delay at the loading port of Long Beach/Los Angeles. Most of you by now, have either heard of or have already experienced delays in your previous shipments, due to the Examination Holds conducted by the US Customs and Border Protection. This examination, on the average adds two weeks to our delivery schedule. Not only does it delay the departure of the shipment, it likewise costs FOREX an average of $2500 per container, which we have been shouldering and never passed on to our agents nor to our customers. The second and the bigger factor is the delay at the destination Port of Manila. As you are all aware of, Mayor Joseph Estrada enacted a truck ban on February 24, 2014 as a traffic-control measure within the city limits of Manila. “Eight-wheeled trucks and vehicles weighing more than 4,500 kilograms (10,000 pounds) are prohibited from Manila roads from 5:00 am to 10:00 am and 3:00 pm to 9:00 pm, Monday to Saturday.” (Bloomberg – May 12, 2014). This ordinance resulted to the incoming ocean containers to linger at the Port of Manila (both North and South Harbors) to an average of 10 days from the usual 6 days. 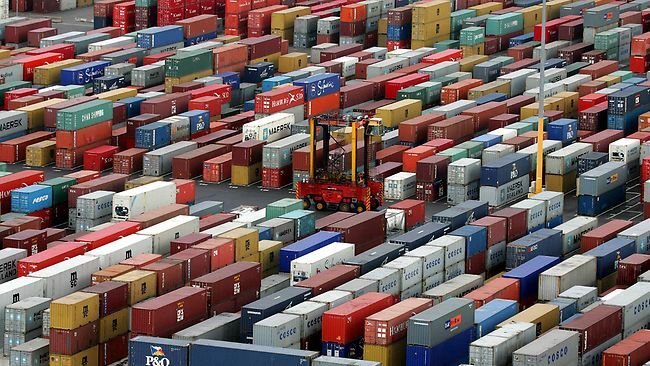 The resulting slowdown in the releases of containers created a chain-reaction, delaying the discharge of new containers from the vessels docked at the crowded Manila port facilities. As a counter-measure, the shipping lines have decided to delay the deliveries of containers from the transloading port of Kaohsiung so as not to add to the worsening port congestion in Manila. In fact, all FOREX containers that left the US last month are still sitting at the Kaohsiung port waiting for the vessel to sail back from Manila to pick these up. We regret any and all inconvenience that this may have caused you and your beneficiaries in the Philippines. We can only wish that there is something else we could do to correct the situation. But we cannot reiterate the fact that this situation is not only confined to FOREX shipments. This crisis applies to and affects all the shipments bound for Manila. FOREX CARGO is closely monitoring the news and is hoping to see changes/revisions in the truck ban to alleviate delays. We will continue to update you thru our offices and agents on the developments. Meantime, please bear with us on the delays of your “Balik Bayan” Boxes. Despite the delay, we guarantee that your precious BB boxes will be delivered, “Dahil Kailangang Makarating”, as our motto states. We value your loyalty and trust. Thank you for your continued patronage of Forex Cargo.